By paying and registering to attend an ICAEA Event, you agree to the following Terms & Conditions. If your plans change or you are unable to attend this event for any reason, ICAEA will accept a substitute attendee from your organisation at any time at no extra cost. 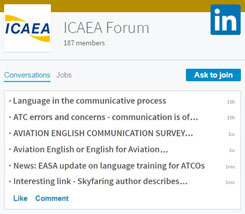 Contact us at events@icaea.aero with the details of the substitute. If you cancel your registration less than 30 calendar days before this event, no refund will be paid. Cancellations made 30 calendar days or more before the event are subject to a 20% administration fee. Refunds can only be made in the currency in which the Registration was paid, ie: USD. If you register and pay but then “no-show”, no refund will be paid. Before paying and registering for an ICAEA Event, please make sure you are aware of any visa requirements to enter the country where this event will take place. Please note that this website uses SSL encryption for the secure transfer of all information you share with us. How many Attendee(s) are you paying for?